VIASURE Gastrointestinal Panel I Real Time PCR Detection Kit is designed for the specific identification and differentiation of Salmonella, Campylobacter and/or Yersinia enterocolitica; Shigella/EIEC; Cryptosporidium, Giardia lamblia and/or Entamoeba histolytica; Norovirus GI and/or Norovirus GII (NoV); Rotavirus (RV); Adenovirus (AdV); Astrovirus (AstV); and/or Sapovirus (SaV) in human stool samples from patients with signs and symptoms of gastrointestinal infection. This test is intended for use as an aid in the diagnosis of Salmonella, Campylobacter and/or Y. enterocolitica; Shigella/EIEC; Cryptosporidium, G. lamblia and/or E. histolytica; NoV GI and/or NoV GII; RV; AdV; AstV; and/or SaV infection in combination with clinical and epidemiological risk factors. RNA/DNA are extracted from stool specimens, multiplied using Real Time amplification and detected using specific primers and a fluorescent reporter dye probe for Salmonella, Campylobacter and Y. enterocolitica; Shigella/EIEC; Cryptosporidium, G. lamblia and E. histolyica; NoV GI and/or NoV GII; RV; AdV; AstV; and SaV. VIASURE Gastrointestinal Panel I Real Time PCR Detection Kit is designed for the diagnosis of Salmonella, Campylobacter and/or Y. enterocolitica; Shigella/EIEC; Cryptosporidium, G. lamblia and/or E. histolyica; NoV GI and/or NoV GII; RV; AdV; AstV; and/or SaV is performed by the amplification of a conserved region of the specific genes (Table 3) using specific primers and fluorescent–labelled probes. After DNA isolation, the identification of AdV, Salmonella, Campylobacter and/or Y. enterocolitica; Shigella/EIEC; Cryptosporidium, G. lamblia and/or E. histolyica is performed by the amplification of a conserved region of the specific genes using specific primers and fluorescent–labelled probes. After RNA isolation, the detection of RNA viruses (NoV GI and NoV GII, RV, AtV; and SaV) is done in one step real time RT format where the reverse transcription and the subsequent amplification of specific target sequence occur in the same reaction well. The isolated RNA target is transcribed generating complementary DNA by reverse transcriptase which is followed by the amplification of a conserved region of specific genes using specific primers and a fluorescent–labelled probes. 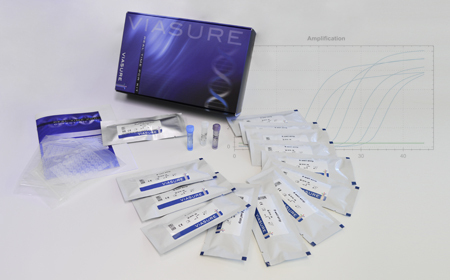 VIASURE Gastrointestinal Panel I Real Time PCR Detection Kit is based on 5´ exonuclease activity of DNA polymerase. During DNA amplification, this enzyme cleaves the probe bound to the complementary DNA sequence, separating the quencher dye from the reporter. This reaction generates an increase in the fluorescent signal which is proportional to the quantity of the target template. This fluorescence could be measured on Real Time PCR platforms. VIASURE Gastrointestinal Panel I Real Time PCR Detection Kit contains in each well all the components necessary for real time PCR assay (specific primers/probes, dNTPS, buffer, polymerase, retrotranscriptase) in an stabilized format, as well as an internal control to monitor PCR inhibition.  Each DNA/RNA targets are amplified and detected in specific channels (FAM, HEX, ROX, and/or Cy5) and the internal control (IC) in HEX, VIC or JOE channel (depending on the equipment used select the proper detection channel, see Instructions for Use).